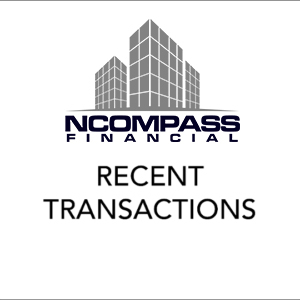 At NCompass, we are committed to providing our clients with exceptional service. As providing this service involves the collection, use and disclosure of some personal and/or confidential information about our clients, protecting their personal information is one of our highest priorities. Our privacy commitment includes ensuring the accuracy, confidentiality, and security of our clients personal information and allowing our clients to request access to, and correction of, their personal information. 2.2 Consent can be provided or it can be implied where the purpose for collecting using or disclosing the personal information would be considered obvious and the client voluntarily provides personal information for that purpose. 2.3 Consent may also be implied where a client is given notice and a reasonable opportunity to opt-out of his or her personal information being used for mail-outs, the marketing of new services or products, and the client, does not opt-out. 2.4 Subject to certain exceptions (e.g., the personal information is necessary to provide the service or product, or the withdrawal of consent would frustrate the performance of a legal obligation), clients can withhold or withdraw their consent for NCompass to use their personal information in certain ways. A client’s decision to withhold or withdraw their consent to certain uses of personal information may restrict our ability to provide a particular service or product. If so, we will explain the situation to assist the client’s in making the decision. -The use of locked filing cabinets; the use of user IDs, passwords restricting access to personal information as appropriate (i.e., only those that need to know will have access; contractually requiring any service providers to provide comparable security measures]. 6.3 We will use appropriate security measures when destroying clients personal information such as shredding documents and deleting electronically stored information.